Over the past decade trucks have continued to grow in both dimension and power. Perhaps the most impressive aspect of this growth is the fact that these behemoths are capable of returning nearly car-like fuel economy. 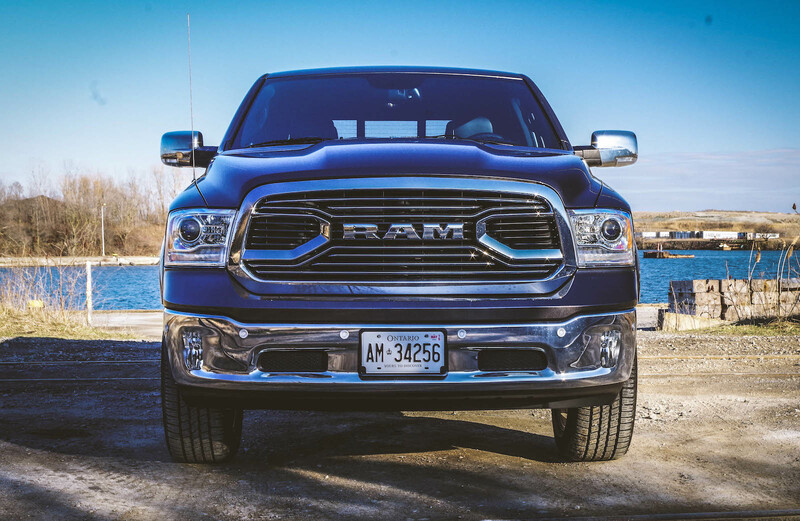 Among the best of these is the 2016 Ram 1500 Laramie Limited with the 3.0L V6 EcoDiesel engine. 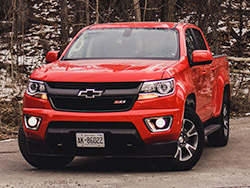 After my time in this vehicle, I came away impressed by the level of comfort, the frugal fuel consumption and the available options that make the truck a useful tool. 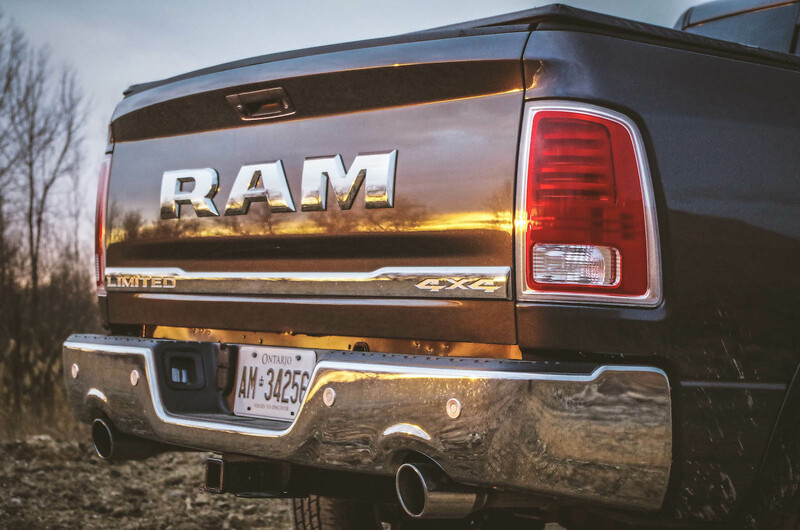 Trucks are essentially an appliance designed for hard work, so let’s start with what makes the Ram 1500 such an appealing horse. One of my must have options for this truck is the Ram Box storage system. I was unable to test it, as my loaner was not equipped with it, but I spent quite a bit of time examining them at the 2016 Auto Show in Toronto. Available in the 5’7” and 6’4” boxes only, this feature comes with two integrated storage boxes that are weather-proof, lockable and drainable. They are both large enough; not only for numerous tools, but you could also pack up a lot of ice and beverages for a tailgate party. The system also includes two rails in the bed with 4 adjustable cleats for tying things down and a dual purpose bed divider and extender. My next favourite option for any truck is the spray-in bed-liner. The benefit of this over a composite removable liner comes down to how well a liner can actually fit. A composite liner never fits perfectly and therefore leaves space for moisture, movement, condensation and even debris from loads. These elements; combined together over time, eventually lead to wearing of the paint and rust. A spray in liner seals directly to the painted surface and fills every nook and cranny preventing future problems and therefore preserves your investment. Another handy feature is the Fold Flat Load-Floor found in the Customer Preferred Package 28V. Located neatly folded under the rear seats are extendable floor boards that - when extended - leave a flat and level surface for hauling larger items. 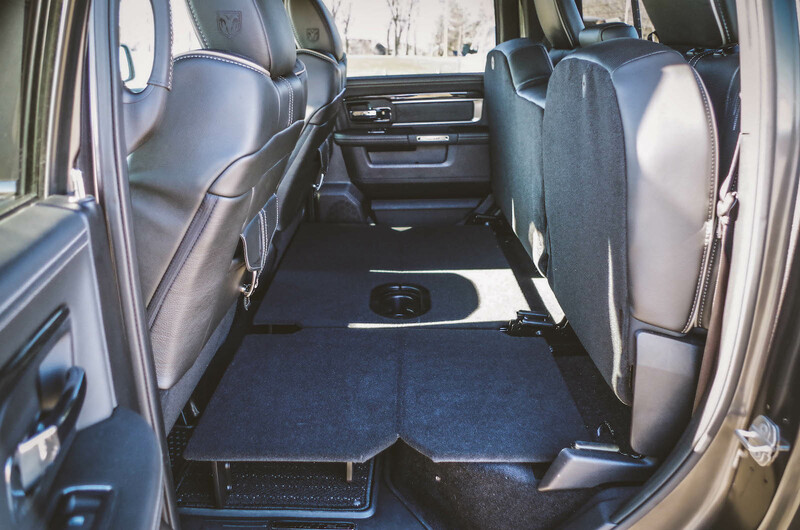 The flatness makes loading and unloading easy as you no longer have to contend with the unevenness of the passenger foot-wells. This package also comes with air suspension that can be set to 4 different heights including one for entry and exit. The suspension will work at three of the heights whenever you select them. The highest (off-road 2) is restricted to 4X4 mode. At highway speeds the self-levelling suspension will automatically adjust itself to achieve maximum aerodynamic slipperiness. 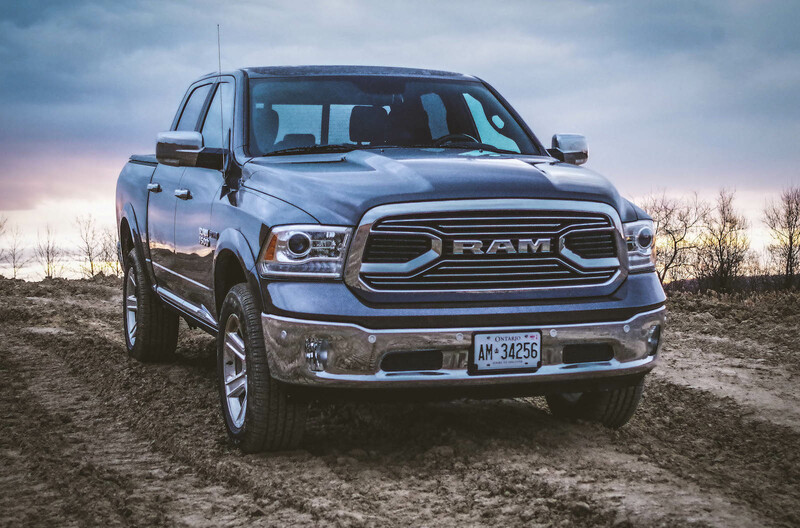 Overall, the bold looking RAM has a self-confident demeanour which is helped not only by its size, but also by the large grille and the numerous RAM badges. Dressing up this rough and ready work truck was a foldable soft tonneau cover; 20” polished forged aluminum wheels, a sunroof and large passenger doors. The doors also opened widely leaving more than ample room to load children or cargo. 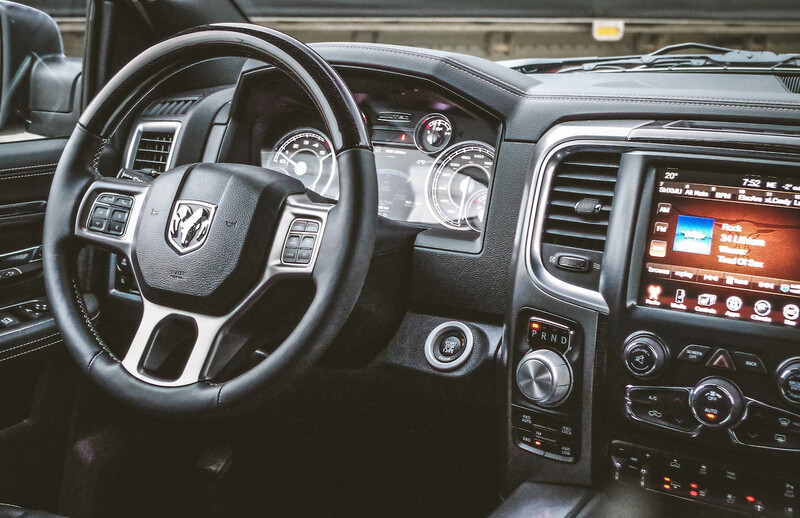 With the doors open you are able to see an interior that looks too nice for a work truck. 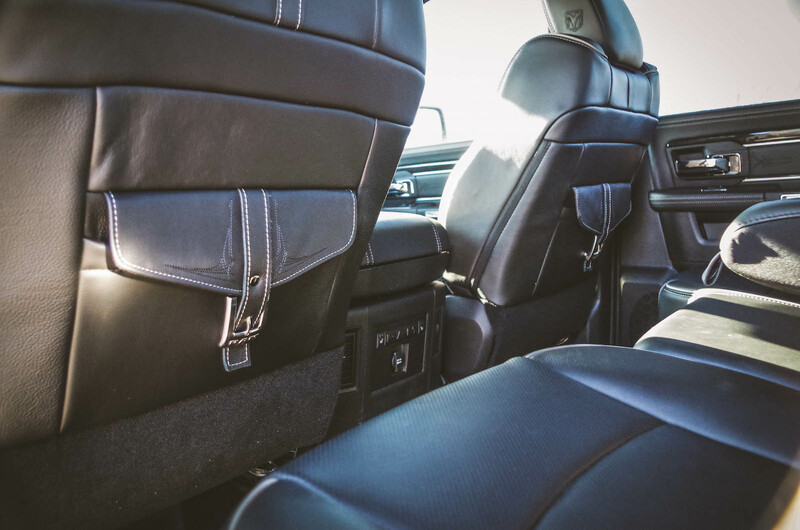 The embroidered leather seating and trim give a luxury vibe that is increased when you notice the little touches like saddlebags mounted to the front-seat backs. 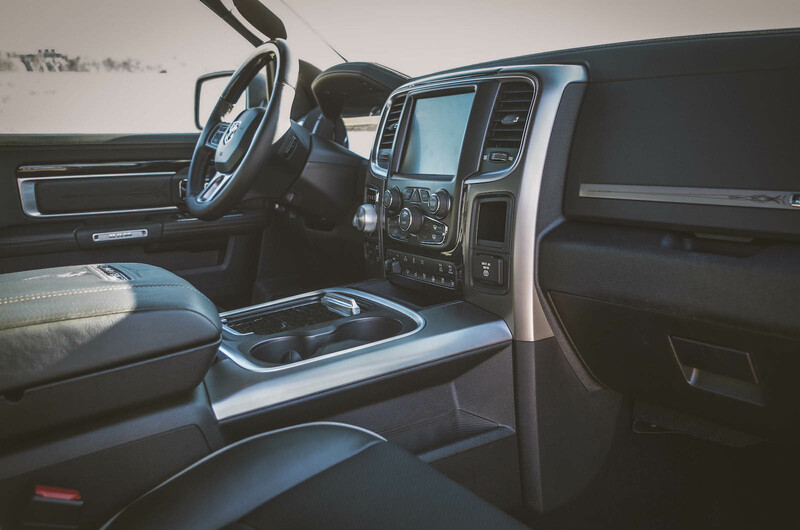 The thick leather and wood steering wheel, the heated and ventilated front seats, and what Ram calls luxury floor mats all work together to coddle you through the work day. The centre stack controls were thoughtfully designed to be large enough to allow gloved hands to operate them freely. The 8.4” touchscreen is easy to use, and operating the infotainment programs will become second nature in no time. The interior is as luxurious as it is large. Behind the front seats (in Crew Cab configuration) there is 1,730L of cargo space, and up front there are many storage possibilities. The seating is available in 2 layouts; the 5-passenger format and also a 6-passenger version with two bench seats. Whichever you choose there is more than enough room for five or six adults. 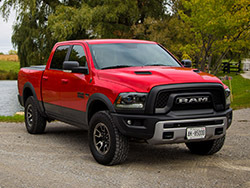 The Ram 1500 has three engines to choose from: a 3.6L V6 with 305 hp and 269-ft of torque; the ever popular HEMI V8 with 395 hp and 410 lb-ft of torque; and the tested 3.0L EcoDiesel V6. I have to say that if it was not for the diesel badge, some people would never known this was an oil burner – it runs so quietly and smoothly. Inside you can barely hear the expected tap, tap, tap of a diesel and thanks to urea injection, and there was no foul smelling exhaust to give it away. The designers have done a great job on this engine. 240 hp and 420 lb-ft of torque are passed through an 8-speed automatic transmission that shifts with little disruption to the occupants. While I did not try to tow anything, I did do a bit of off-roading and can attest to the low-end grunt this set-up produces. The truck can pull! The official towing capacity is 4,173 kg. That means you could pull some of the largest of camping trailers without having to buy a heavy-duty truck. 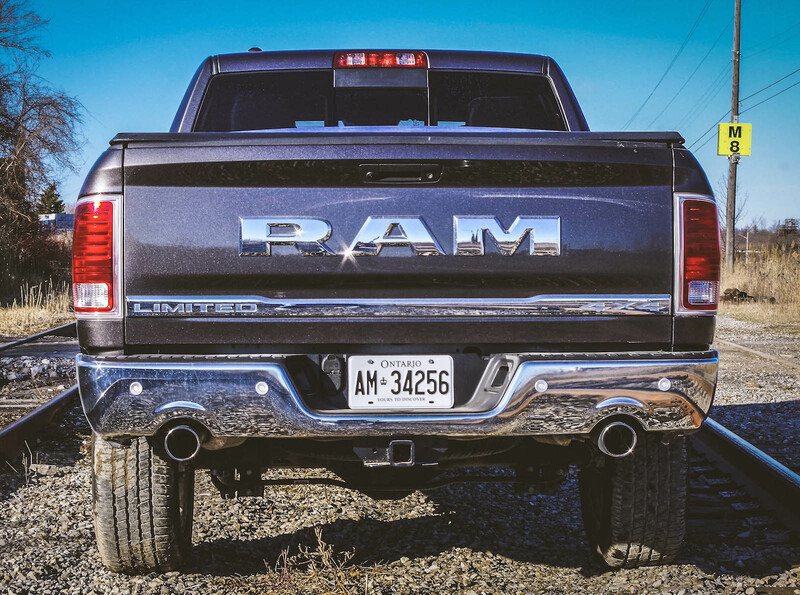 Yet, despite all the focus on luxury, comfort and silence, once you get this Ram on the road, you will find that it has a typical truck suspension. You will feel every imperfection on the road, especially if you are not burdened down with a heavy load. This is not a bad trait, but if you are not accustomed to how a real truck feels (crossovers are not trucks) you may be a bit surprised. Personally, I like the solid and planted feel as it inspires a sense of confidence and safety that nothing else on the road can match. A stiff suspension set up is a necessary trait in order to safely handle a heavy load. 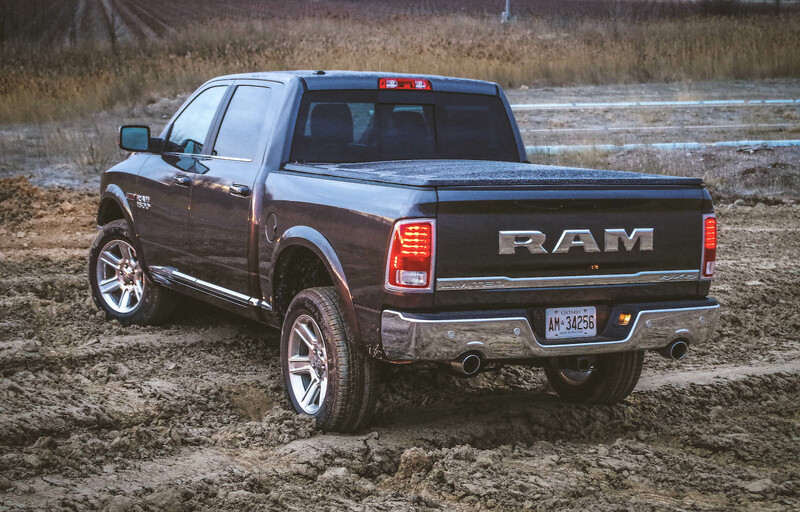 During my brief off-road expedition the Ram easily pulled itself through deep ruts and up steep slopes (with loose surfaces) at little more than an idle. Equipped with a two-speed electronic transfer case, those who work off the beaten path will have 7 operating modes to select from (4WD high/low and so on). This equipment will ensure that this is the truck that will be pulling lesser trucks from the muck. The air-ride suspension took the harshness out of the terrain and at the highest ride height it does a good job clearing obstacles. 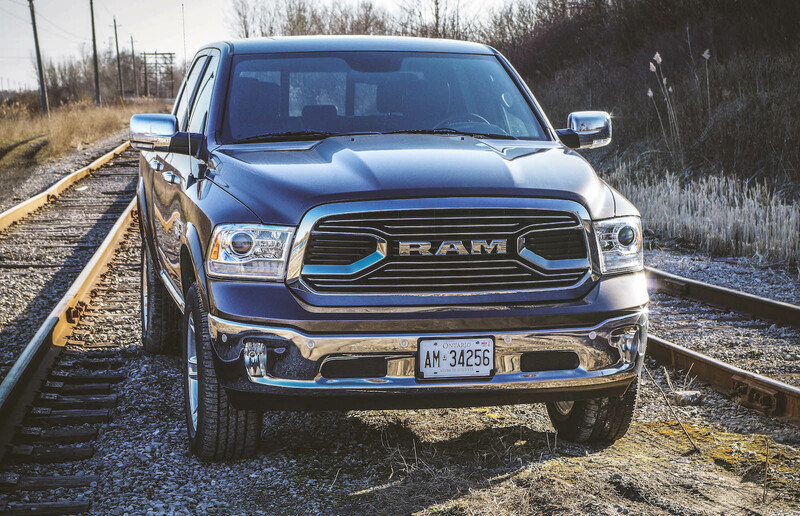 If you’re looking to buy, the 2016 Ram comes in 11 different models. 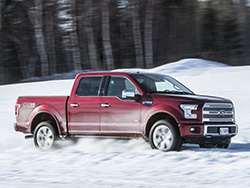 Prices start at $25,595 and all models come with a 5-year/100,000 km warranty on the powertrain in Canada. Yet, in the U.S., the same trucks have a 5 year/100,000 mile warranty. If my math is correct, shouldn’t Canadians be getting 160,000 km coverage? 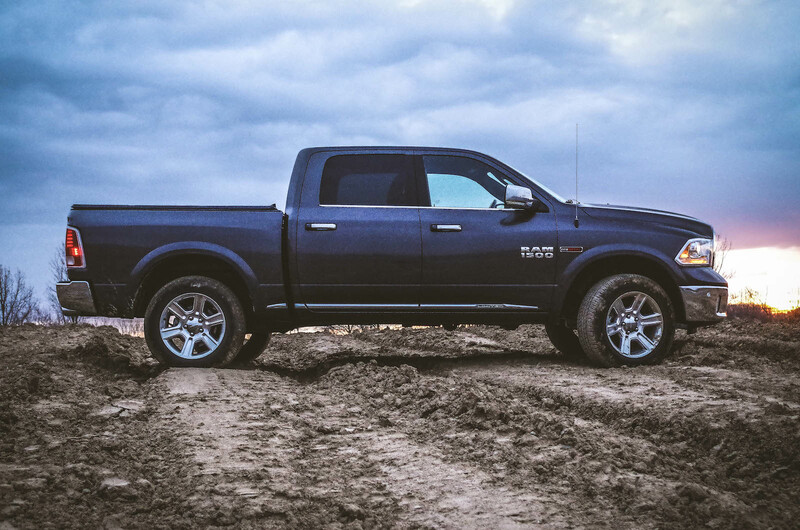 Be that as it may, the Ram 1500 offers consumers the capability they need to get any job done. But it goes further. 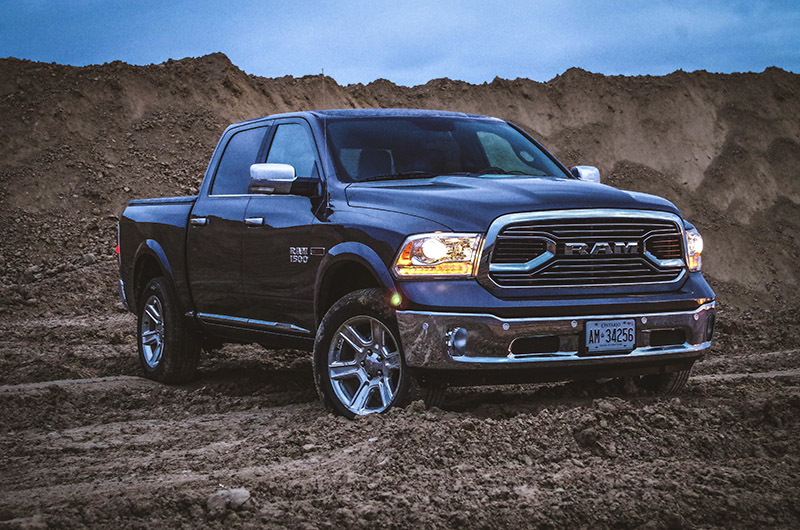 In higher end models, the Ram starts to develop a dual personality: delivering brute power and functionality yet spoiling its occupants with a well-appointed interior. 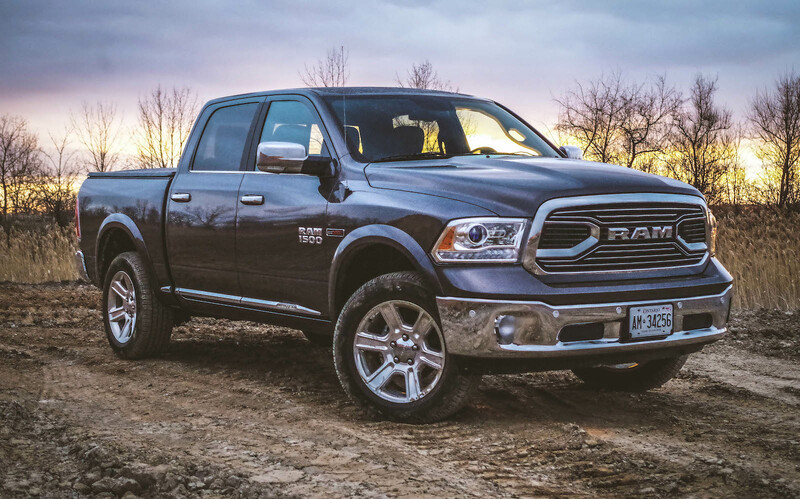 While a diesel is not for everyone; those who have to tow will find that it returns great fuel economy. 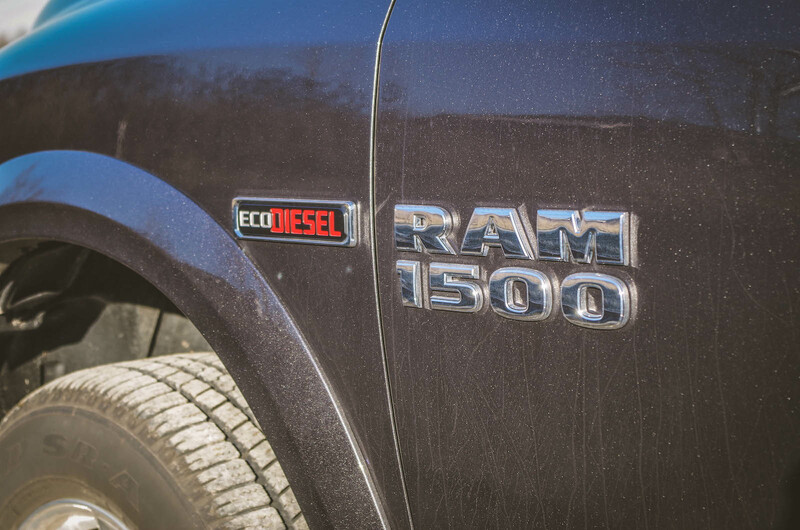 If you need to pull a trailer for work or for pleasure, the EcoDiesel-equipped Ram should be on your shortlist.